Maimi proves that she’s not invunerable to her own power and reconnects with some old classmates in her April 27th entry titled “Girl party (^-^)“. Full translation below. 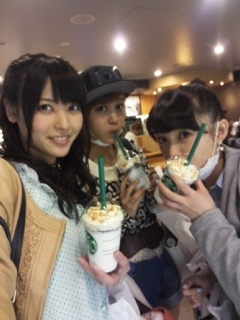 Posted on April 28, 2013, in Blog, Translations and tagged Yajima Maimi. Bookmark the permalink. Leave a comment.